Our Raspberry Pi 3 System With CAN Bus Interface (PiCAN2) comes with a pre-installed Raspbian operating system. Raspberry Pi 3, Model B+, 1 GB RAM. Raspberry Pi 16GB Preloaded (NOOBS) SD Card. PiCAN2 - CAN Bus Interface for Raspberry Pi. The enclosure is made from High Impact Polystyrene HIPS UL94-HB material. Mounting flanges allow for wall mounting. The PiCAN2 DUO ISO board provides Controller Area Network (CAN) Bus capabilities for the Raspberry Pi. It uses the Microchip MCP2515 CAN controller with MCP2551 CAN transceiver. Connection are made via 4-way screw terminals. Per default, the PiCAN2 DUO ISO board comes with two termination resistors activated by means of a jumper. The Raspberry Pi is embedded into several layers of plastic casings. Learn to create inventive programs and fun games on your powerful Raspberry Pi - with no programming experience required. 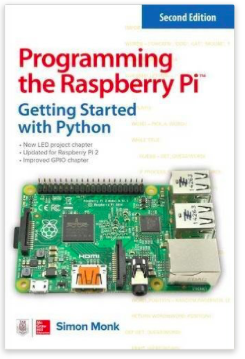 This practical book has been revised to fully cover the Raspberry Pi 2, including upgrades to the Raspbian operating system. Discover how to configure hardware and software, write Python scripts, create user-friendly GUIs, and control external electronics. DIY projects include a hangman game, RGB LED controller, digital clock, and RasPiRobot complete with an ultrasonic rangefinder. Click the button below to add the Raspberry Pi 3 B+ System With Dual Isolated CAN Bus Interface to your wish list.